This Spiritual Faire promises to be a GREAT day for everyone. Features include healing sessions, massage therapy, intuitive readings, spiritual mind treatments, Reiki practitioners, energy practitioners, alternative health providers—and more! • I am of service to you as an Angel Therapist and Spiritual Practitioner to guide you release pain and negative patterns, and inspire you to experience your God-Self—uplifting your Journey with Love! • How can I help as a Spiritual Practitioner and Angel Therapist? I make sure that nothing is blocking the flow of “Light” life force within your energetic field. Then you will release pain, trauma, concerns on any level of your being and your life and reprogram the DNA-RNA allowing God’s divine qualities of love to be revealed. I help you raise your energetic frequency. You will feel more at peace and in harmony with life as you commune deeper with your God Self, the sacredness of life, the Masters and the Angels of Light, Archangels, God or Source—you are receiving divine messages! If you are in pain about the loss of a friend or a family member we will bring healing, harmony, and peace and help them move into the Light. 1 – An important step – Energetic field clearing – Move deeper within the heart – Release energies, which do not serve you and do not belong to you. Activate Light and energetic flow. 2 – When we clear the energetic field, we release earthbound spirits into the Light of God and often some of them are close friends or family members. Sometimes people wish to heal painful unresolved issues with their loved ones who have passed on. This is the moment to commune from the heart in love, for everyone to heal so that harmony and love prevail—so that the person who has passed on, may move into the Light with ease and grace and peace. These are profound moments and also joyous moments as all spaces are infused with the Love, Peace, and the Light of God. 5 – How to create a sacred space—workplaces and play-spaces, homes, and lands. 6 – Activate your Sacred Heart to love “you” and all beings unconditionally—to commune with the sacredness of life. Clear and activate your chakras. 8 – Learning to be grounded within a sacred space supports your well-being. 9 – Important guidelines to become a spiritual practitioner. Let go and let God! 10 – Work with the Violet Flame and St.Germain—transmuting energies and frequencies. 11 – Read energetic frequencies and raise frequencies. 12 – “Tree of Life Activation” based on my 2 books. 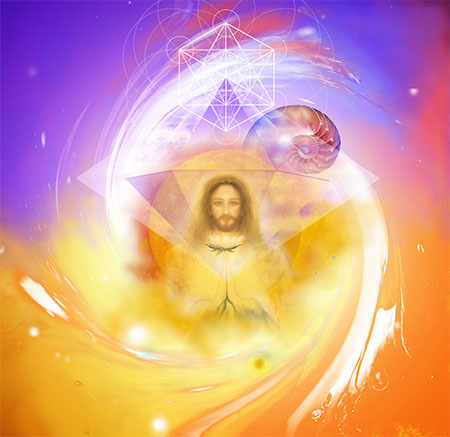 Within God’s Light, we activate all Divine qualities and aspects of the Tree of Life, within our being to experience our true spiritual essence—this activation harmonizes and increases the flow of life force, supporting our well-being. This process opens the heart and activates our divine creative abilities and potentialities. Throughout her life, Sarah Jeane had several near death experiences. She has been embraced by the light many times and guided into higher dimensional realms of consciousness. As an empath, Sarah Jeane understands and sees people’s pain and also sees and feels the joy and the light. She feels and sees energies, and communes and works with Angelic Beings, Masters of Light. She learned to be of service by using this gift with grace and love. Since her early twenties, she has been studying and practicing healing modalities, yoga, and meditation. This journey led her to discover her true purpose, as a clear angelic channel to serve all beings on their journey, in honoring and love. Sarah Jeane is extending her light work around the world through her beautiful artistic expression and her teachings, healing modalities, helping people to be free from painful issues. Her works of art are Doorways of Light. Her teachings and healing modalities are guiding people to experience their divinity. Sarah Jeane carries her life’s work in consciousness of the light and the sacred, to awaken to our true identity and our God Given Gifts, inviting Source/Divine Consciousness to lead the way. Her books are doorways of the heart to experience the Presence of Source – “Twelve Doorways of Light: A Portal to Your God-Self & Twelve Doorways of Light: Sacredness of Life”.